Born into a small family, of just himself, his parents and his older sister. 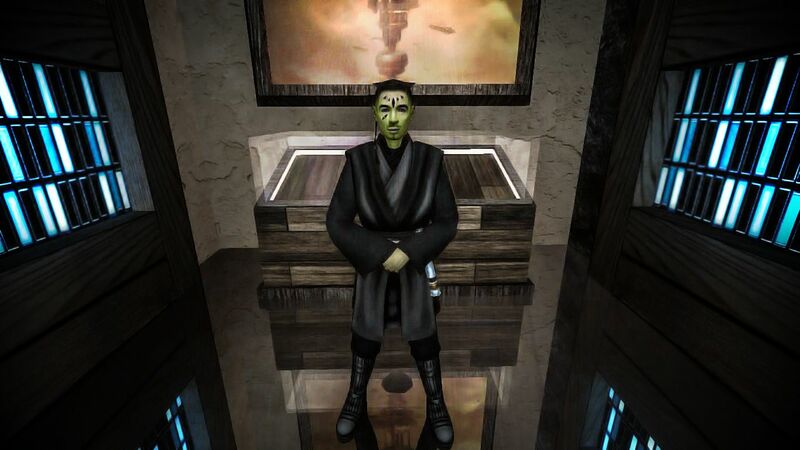 He attended a local school, making friends with his classmates and learning basic studies from his teacher named Miss Gordell, whom was an Ithorian. His father worked in the smuggling business, usually leaving home for months on end. He wanted to grow up and be just like his dad flying across the galaxy and seeing all of it’s wonders. However, he stayed at home with his mother and sister; Oore and Utel. He usually argued with his mother, over countless things to the point where she couldn’t handle him anymore and agreed to send him to live with her brother on Rannon. Onto the next, shuttle he went straight to the planet of Rannon. Not knowing what to expect once he arrived as it was completely different to the cold deserts of his homeworld. Making his way to his new home, he would arrive and notice that their was a man with blonde hair standing at the door, with his arms crossed and a grin showing on his face, before he beckoned the child closer. He spoke with a strong voice “I’m Karmarie Zar. A Jedi Knight. I’ve come to see whether you’re what the man at the spaceport told me you were.” At this point the child was clueless. The Jedi then sat the boy down and explained that, his uncle agreed to allow Kargaa to go to the Jedi Praxuem, and learn to become a Jedi. His mother was also informed, however she never responded. Kargaa and Karmarie made their way back to the temple.